Eureka Ergonomic is passionate about enhancing your work experience and keeping you physically and mentally fit through our innovative ergonomic solutions. We’re constantly listening, researching, and improving our ergonomic desks. Our 150+ passionate engineers are working hard to solve your everyday ergonomic problems. We appreciate customer feedback. With all your important feedback we designed and manufactured the Eureka Ergonomic 30” Ultra-Slim sit-stand desk converter. 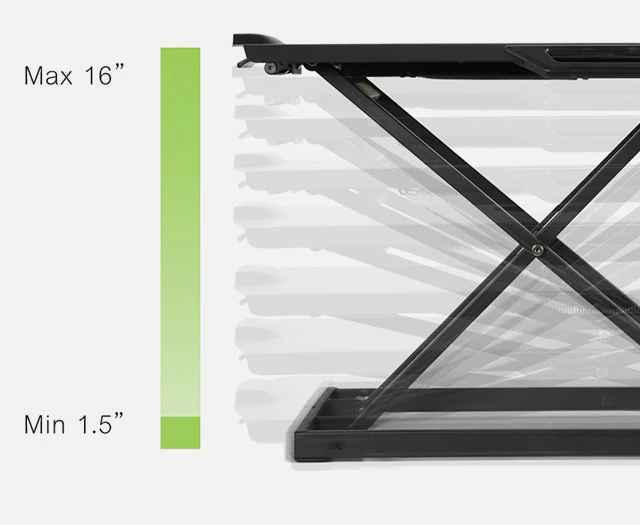 The Ultra-Slim is one of our most compact standing desk converters on the market. With a single 30 inches wide desktop, the desk pops up or folds down in seconds. Integrated handle makes it perfect for the mobile minimalist who needs a standing desk solution that’s easy to move and manage for a laptop or tablet. Offers a large workspace (30"W x 17.8"D) for one monitor, a laptop, a full-size keyboard and a mouse. When fully lowered the height is only 1.5". 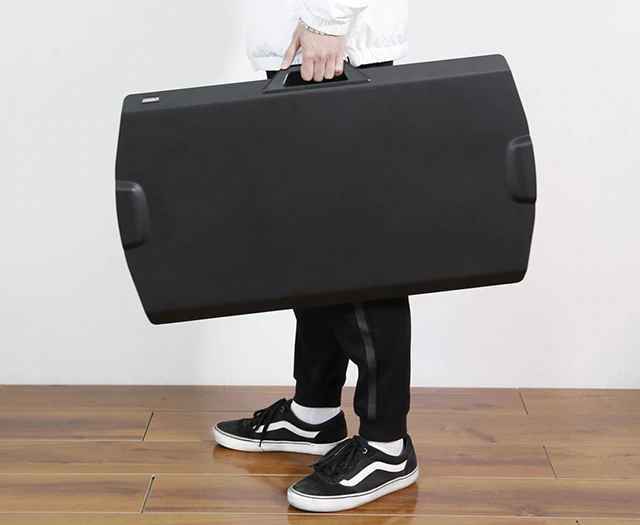 The integrated handle is designed for people that are always on the go. Flexibility to go wherever your active office takes you. The Ultra-Slim is a perfect choice for people who want a healthier work-life balance and flexible working space. 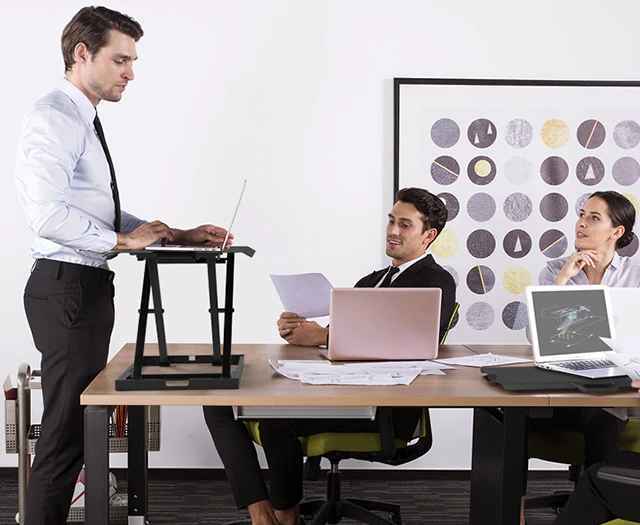 The vertical X-shape design adjustable height mechanism helps you make the most of your space, no need to worry about moving into someone else's space when you are working away from the office or in public spaces. Ideal to use at home or in your office. 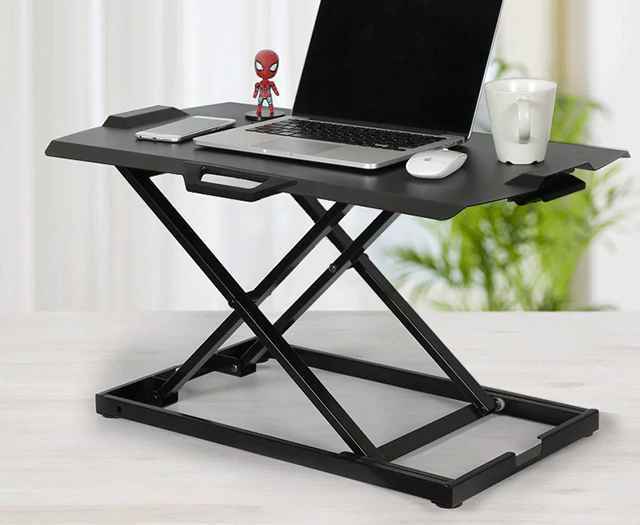 The anti-slip feet keep the Ultra-Slim Sit-Stand Desk Converter in place while protecting your existing desk surface. 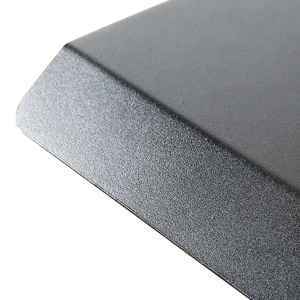 The textured surface protects against stains, stuffs, and scratches. The locking handles protect your desk accessories safe from crashing down. Provide the best top coating to areas susceptible to scratches or damages. The desktop surface with a matte black finish offers not only appearance and comfortable hand feeling, but also stain-resistance. Its sleek, modern looks great in any office, study, or shop. Simply squeeze & release the left handle at the lowest sitting height and you will hear a click as a reminder that the desk is locked and ready to be moved. To unlock, just squeeze the left handle once with a click sound to remind you that it’s time to adjust desk height. Ideal to use at home and office, the anti-slip mats keep the Ultra-Slim in place while protect the surface of your existing desk. 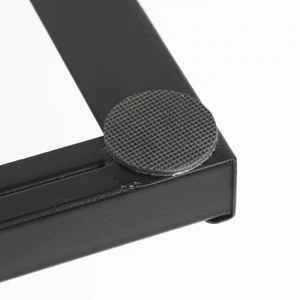 Unlike other brands, we do not just use gas spring to offer motivation to lift the desk, we go further – the whole height adjustment mechanism around the gas strut is designed to let you adjust desk height not only effortlessly, but quietly and smoothly. Lift & Lock the desk to your desired sitting or standing height level with unlimited lockable positions between 1.5” to 16” from the desk surface. Once the left-side handle is released, the desk will be locked immediately, avoiding unwanted shifting or wobbling.